Order ‘The Peanuts Collection’ by Nat Gertler, available from Amazon.com by clicking the book cover above! When you’re done reading your favorite comic strip today, wouldn’t it be cool to have some lasting ephemera to put on your desk, in your school locker, in the kitchen or on your nightstand? Something that will remind you of the laughs you shared with a beloved cartoon character? Me? Today I’d like a plush Satchel stuffed dog from Get Fuzzy, or a replacement of my long-lost Opus doll from Bloom County. Or anything from Calvin and Hobbs or Pearls Before Swine. But when I was kid, long into my teen years and even at college, it was anything Snoopy. I had a poster in my room of Snoopy lying prone on his doghouse, staring at his empty food dish, waiting for the round-headed kid to fill ‘er up. I also had stacks of the paperback collections of daily Peanuts strips and a treasured hardbound volume as well, that I couldn’t wait to later pass on to my daughter when she was barely old enough to study the pictures and begin reading. 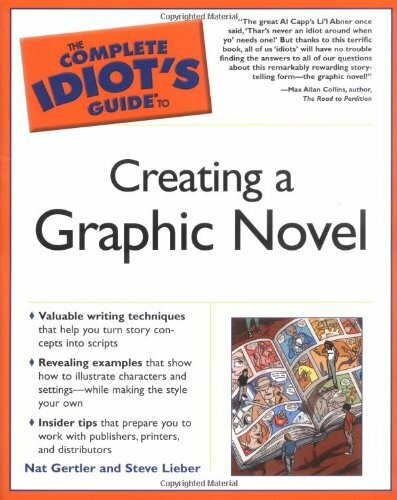 Order ‘The Complete Idiot’s Guide to Creating a Graphic Novel’ by Nat Gertler, available from Amazon.com by clicking on the book cover above! There’s a reason, years after cartoonist Charles Schulz’s death, that Peanuts remains a popular feature in hundreds, maybe thousands of newspapers around the world. It’s funny, it’s sweet and, at times, it’s brilliant. This is the third show I’ve done dedicated largely to Schulz. The first was an interview with his controversial biographer, David Michaelis; the second was with Schulz’ son, Monte, a novelist and author of This Side of Jordan. 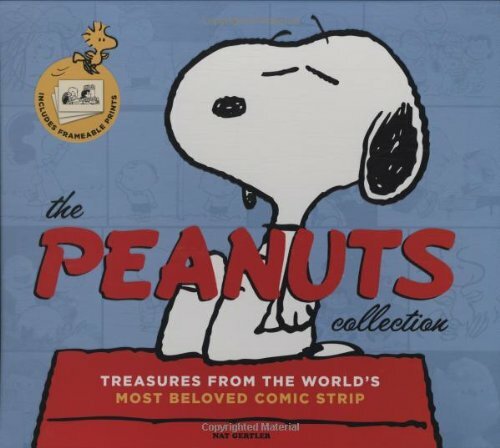 Besides being the man behind a website featuring a collectors’ guide to Peanuts books titled, AAUGH.com, Gertler is also the co-author of The Complete Idiot’s Guide to Creating a Graphic Novel.